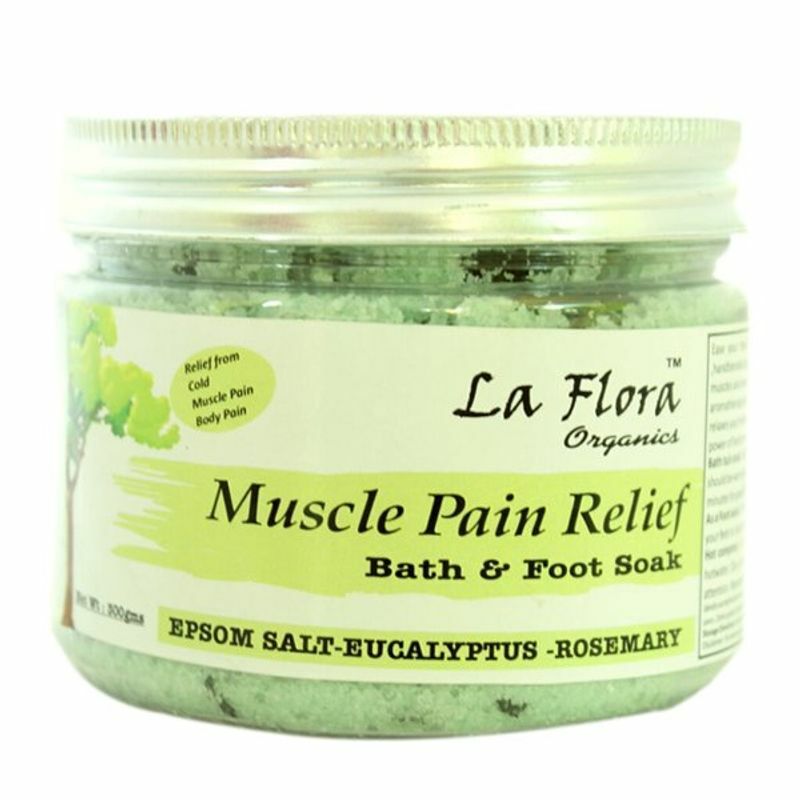 Ease your tired, achy muscles with this energizing Epsom Bath Salt & Foot Soak by La Flora Organics. It helps relieve pain by reducing inflammation, relaxing tight muscles and lifting your mood. Lemongrass, Eucalyptus and Rosemary pure essential oils helps to clear your cold ,relaxes your mind and revives your energy, especially when you're feeling down. It helps to clear your stuffy nose and chest congestion. Sea salt, when combined with warm water, help open up the pores giving you a healthy and youthful glow. 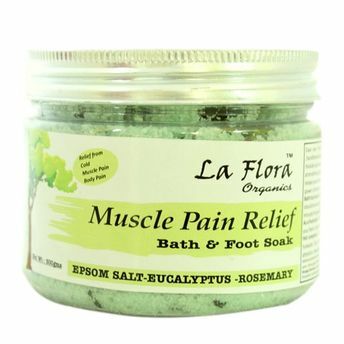 Epsom salt (Magnesium Sulphate) relieves stress and pain, it also help muscles and nerves to function properly and its great for your skin. While Baking Soda (Sodium bicarbonate) alkalizes the body & softens skin. Real Eucalyptus & Tulsi leaves gives you the true effect of herbs.